The first day of LockCon has come to an end (at least, the official program). We had a talk by MH and Lucas about Chinese locks. What threats do they try to protect against? What new techniques are being used? Featuring the famous “free spinning lock” and the “chain-key lock”. Jord Knaap had some interesting stories about his work as a safe opener. He also showed some very new safe opening techniques. Deviant talked about keyed-alike locks in the USA. Who would have thought that when the policy (or taxi companies) order keyed-alike cars, they are actually all keyed alike? Jimmie and Cocolitos talked about newly designed picks that work really well on many types of locks. 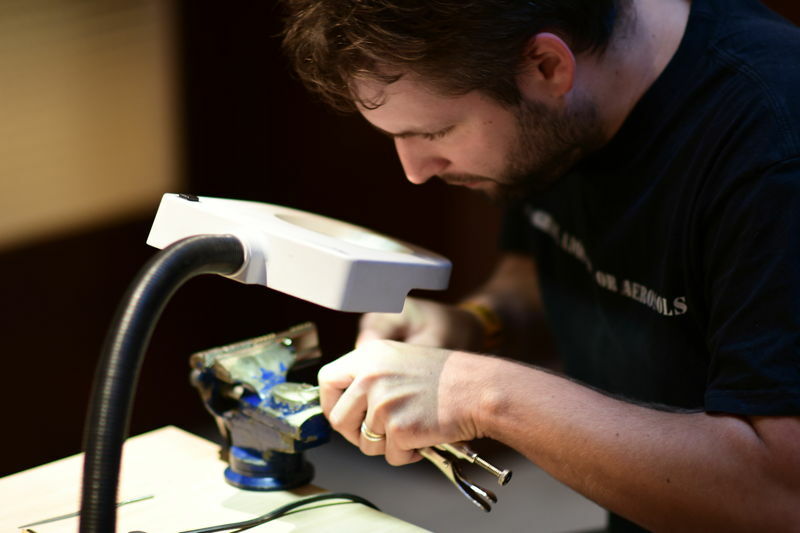 Ray disassembled some wireless locks and found some interesting vulnerabilities (including a 0day). Kenny taught us all about OpenSCAD. We will not go into too much detail. The event is invite-only for a reason ;-). And we had also time for the impressioning championships. Abus kindly sponsored a bunch of Abus C83 cylinders and key blanks. 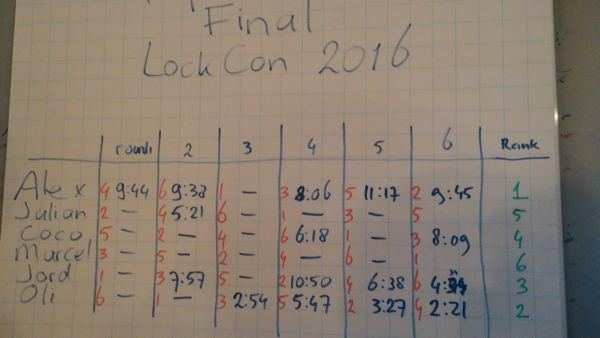 After a first round, the first six went to the final, all having to open six new locks. The winner was Alexandre, Oli became second and Jord third. Although many locks now feature electronic features, at the Security Essen fair, enough interesting fully mechanical locks could be seen. Some companies, like Iseo, have decided to focus solely on electronics at this event. Other companies show that new mechanical features can still be invented. Evva showcased the new 4KS which is a continuation of the 3KS. I found the ICS with Temporary Access Function more interesting from a mechanical standpoint. This cylinder comes with two user keys, of which one only works after putting the lock in temporary access mode with a change key. Mottura showed cylinders with a magnet in the key, to defeat lockpicking. DOM has a new cylinder that has keys that are even harder to duplicate. Abus showed a really neat new modular system that makes it very easy to change the length of any of their cylinders without using special tools, not even a screwdriver. A very simple and elegant solution that works really well. The company Master showed an impressioning key for single row dimple locks, that uses a metal wire to impression in. It needs quite a bit of force to impression, hence a tool is used for that. In the video you can see it in action. Now off to LockCon 2016! Entries (RSS) and Comments (RSS). 43 queries. 0.318 seconds.